The classic and distinguished hat that was a part of the attire worn by both postmen and mail truck drivers. 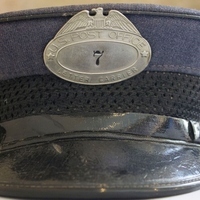 The iconic badge of the U.S. Post Office adorns the face of the hat to identify postmen as federal employees and also to signify the role they held within the Post Office. There were a multitude of designs available to wear ranging from berets, panama hats, or safari helmets. As of 1972, the hat was no longer required to be worn as part of the postman's uniform and instead replaced with baseball style hats that are optional. "Letter Carriers’ Uniform: Hats, Introduction." United States Postal Service. http://about.usps.com/who-we-are/postal-history/letter-carrier-hat-intro.pdf. "Letter Carriers’ Uniform: Hat Images, 1950s-1990s ." United States Postal Service. http://about.usps.com/who-we-are/postal-history/letter-carrier-hat-images2.pdf. 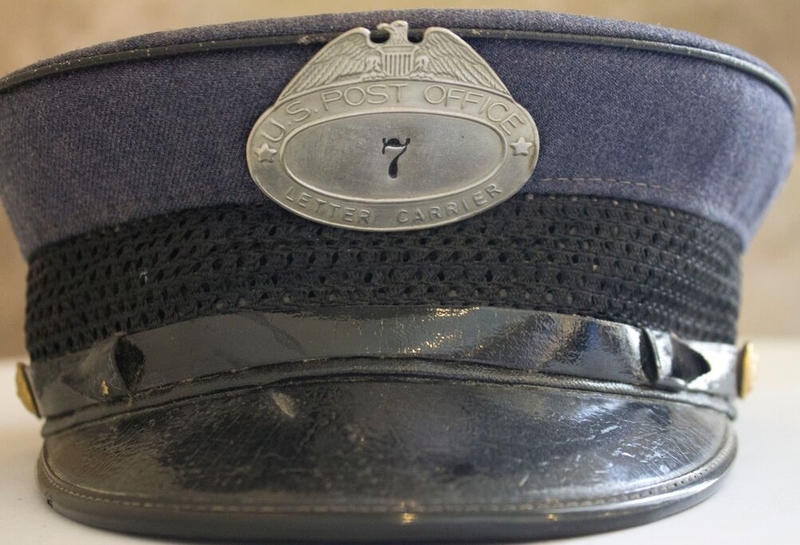 “Postman's Hat.” RICHES of Central Florida accessed April 25, 2019, https://richesmi.cah.ucf.edu/omeka/items/show/5563.